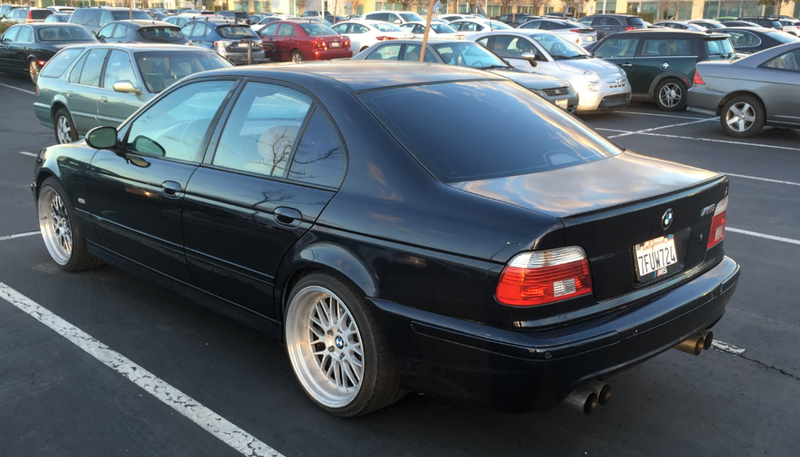 Hi guys, I'm looking to go back to stock wheels on my E39 M5. I don't mind the wheels to have a bit of rash and some small chips but I'd like to avoid ones with big peeled-off sections. Currently running 19x9.5 front/19x11 rear BBS LM reps with Michelin PSS tires that I could include in a trade or sell outright. Located in SF Bay Area and prefer local pickup. I’ve refinished set and soon will be available BRAND NEW OEM sets ( 1 staggered and 1 square all four 9.5J ). P.S. Cant send you PM because you choosed “ do not receive PMs”. Last edited by Asner; 7th April 2019 at 09:20 AM. Hi there! Strange, I don't see any PM settings in my user CP. You can email me at L v i n o k @ y a h o o . c o m.
I have a feeling your wheels are too nice ($$) but please do send an email! Thanks for the email! I'm looking for used wheels at the moment but will let you know if I decide to go with something nicer. Take a look at Wheels America. They refurbished my E39 M5 wheels and installed new rubber on them for around $800 and did it within 48 hours. That included straightening (since parking lot humps are murder on wheels with low profile tires), repainting with the original chrome like silver and balancing. They also sell refurbished wheels and have exactly what you are looking for at a pretty reasonable price. Awesome, thanks for the tip Ric! Were you happy with the finish? They look brand new. Had to get the little M stickers and new center caps to complete the package. Got it, I expected having to get caps and stickers based on their photo. I just called them and they're out of stock. The guy said they don't get those very often so I'm doubtful I'll be able to source from them but I'll keep an eye out. Thanks again!